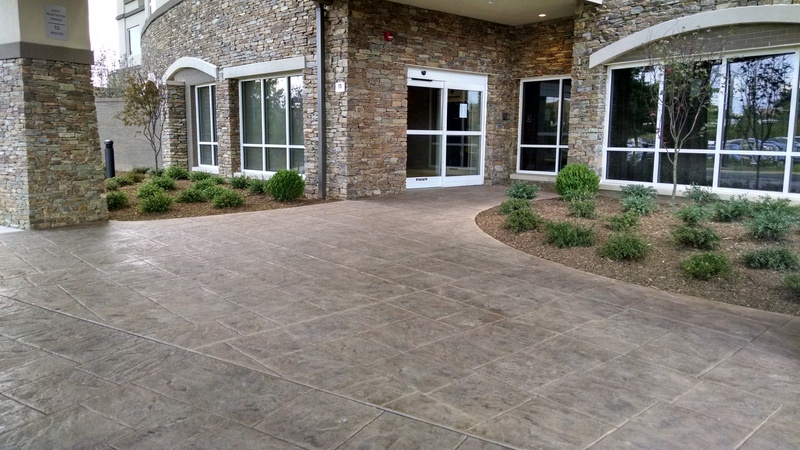 The Marriott Courtyard Asheville Airport Hotels entryway and guests terrace received a much needed beautiful makeover with Bomanite Stamped Concrete. Bomanite Licensee, Carolina Bomanite, was called in by the general contractor, Pro Construction, on advice from the owner. The owner, Touchstone Hospitality, was having a workmanship issue with the first pour of stamped concrete by a local contractor. Lack of skilled labor, lack of multiple tools led to a very poorly poured terrace off the meeting area. The client had used Carolina Bomanite previously on a Hampton Inn Hotel project and was familiar with the workmanship and asked if they could remedy the issues. 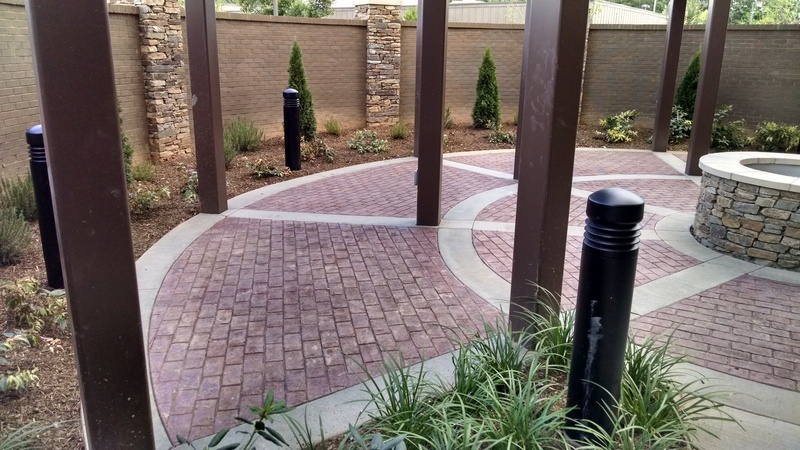 Carolina Bomanite was able to review the project and recommend corrections that were in need for standard regulation pours and stamped concrete work. All of the curb and gutter at the porte-cochere was 11” to low and the area leading to the front door exceeded 5% slope. In addition, a small smoking patio sidewalk had to be reworked with a twist in order to get enough length to keep the slope under 3%. All of these items were noticed by the Carolina Bomanite team. Carolina Bomanite first took control of the grades, and then made some adjustments to the pattern and the project turned out great. 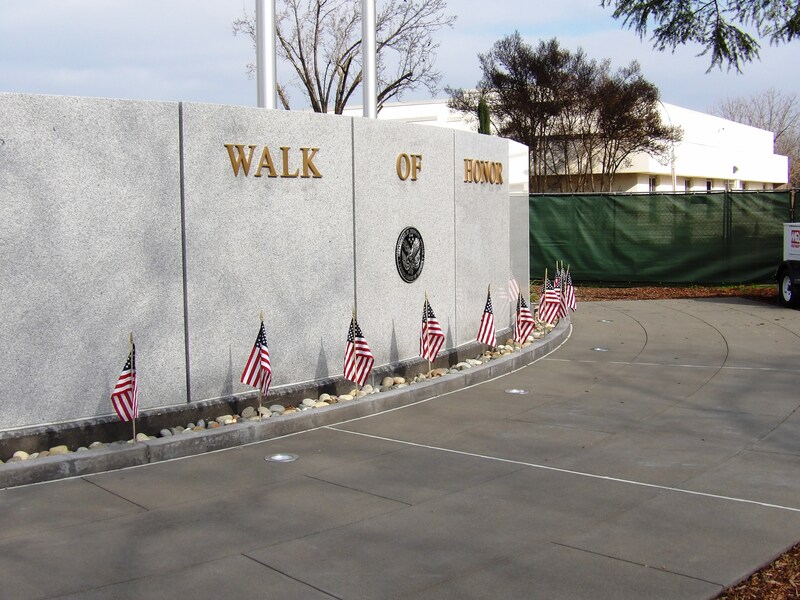 The Bomacron English Sidewalk Slate Pattern and Bomacron Slate Texture were used for the porte-cochere area with Bomanite Caramel Color Hardener and Bomanite Forest Brown Release colors. For the circular terrace area, the Bomacron Running Bond Used Brick pattern was installed with a Bomanite Brick Red Color Hardener. Touchstone Hospitality was very pleased with the work completed at the Marriott Courtyard. Guests are now welcomed with a properly installed, safe, stylish stamped concrete entrance and inviting relaxing stamped concrete terrace.